Petrol and diesel prices set new records Sunday. According to the price notification issued by state fuel retailers, petrol price was raised by 12 paise a litre and diesel by 10 paise per litre on Sunday. Holding the BJP government responsible for the rise in petrol and diesel prices, Ajay Maken alleged that it kept on raising excise duty on fuel even as international crude oil prices have come down. Ajay Maken said that he was "pained" to see that BJP's national executive meeting here remained silent on the rising crude oil price issue and has not held any discussions on inflation or rupee depreciation, matters which are directly linked with the common man. Ajay Maken alleged the economic progress and GDP growth rate, which the UPA government maintained, has been squandered by the present dispensation. 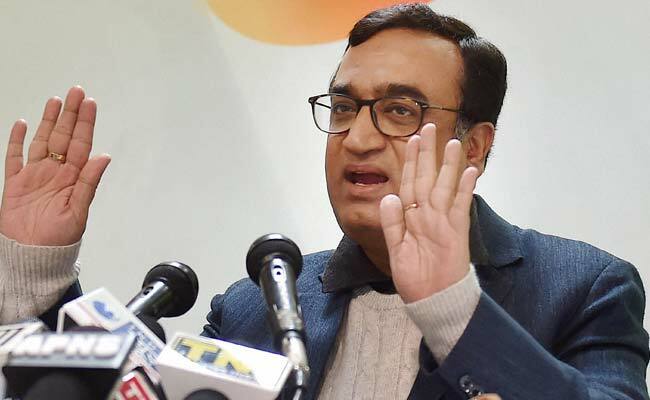 Hitting out at the BJP for attacking the Congress with 'make in India breaking India' barb, Ajay Maken alleged the government has stalled the make in India initiative as 109 rafale jets could have been manufactured at Hindustan Aeronautics Limited, a PSU.